Microsoft introduces the Microsoft Mouse for IBM and IBM-compatible PCs. 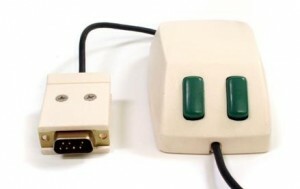 The mouse featured two buttons and is available by itself or will later be bundled with the new Microsoft Word software, which Microsoft would release in September. Microsoft will manufacture nearly one hundred thousand units of the device, but will only sell five thousand before introducing a second, more popular version of the device in 1985.